One of the UK’s leading services, maintenance and building groups are renting a Camvista 3G operated megapixel construction webcam to overlook one of their construction sites in Edinburgh, Scotland. Within 10 days of the construction webcam enquiry, Camvista packaged a rental construction webcam package to suite the construction client’s requirements and budget figures. Carried out a full site survey at the construction site in Edinburgh, issued a detailed method statement, which was signed off, and installed their fully operating 3G megapixel mobotix construction monitoring camera overlooking the area of the site that our construction client wanted to be viewed remotely via their 3G construction monitoring webcam. The Camvista 3G construction webcam is not just a standard webcam overlooking a construction project. 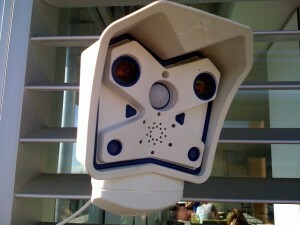 The construction webcam is also doubling up as a remote monitoring security project camera. Utilising Remote Alert, all motion detetected images from the construction monitoring webcam, at specific periods of times, daytime and nightimes, are being made available to remotely monitor via our Remote Alert web-interface. Allowing the Project manager, and other key members of staff of the construction company to security monitor via snapshot images all movement on the construction project via their construction webcam. As well as Remote Alert operating, which allows remote security monitoring of all motion detected images, all motion detected images, throughout the 6 month project, are being archived 24 hours a day, 7 days a week on a SD media card on the megapixel Mobotix construction monitoring webcam. Enabling the construction Project manager to have a full record for project management purposes, and security issues, a complete record of the duration of the 6 month construction project.